Serving our community since 1915. Slovenian Savings & Loan is proud to sponsor the Arcadia Theater’s August 25 production of The Everly Brothers Experience! The Arcadia Theater, which was built in 1921, is a gem of the Windber community, and presents quality touring entertainment as well as children’s shows. If you haven’t been to the theater recently, this is a great time to go! The Everly Brothers sold more than 35 million records from 1957 to 1962. They still hold the record for most Billboard-charting hits of any American duo (100 singles, 26 of which were in the top 40). In their day, they were second in popularity only to Elvis – and this engaging, exciting show is sure to delight old and new Everly fans alike. “People like this era of music, and we’re looking forward to presenting this show for the first time at our theater,” said Gerald Ledney, the Arcadia’s executive director. 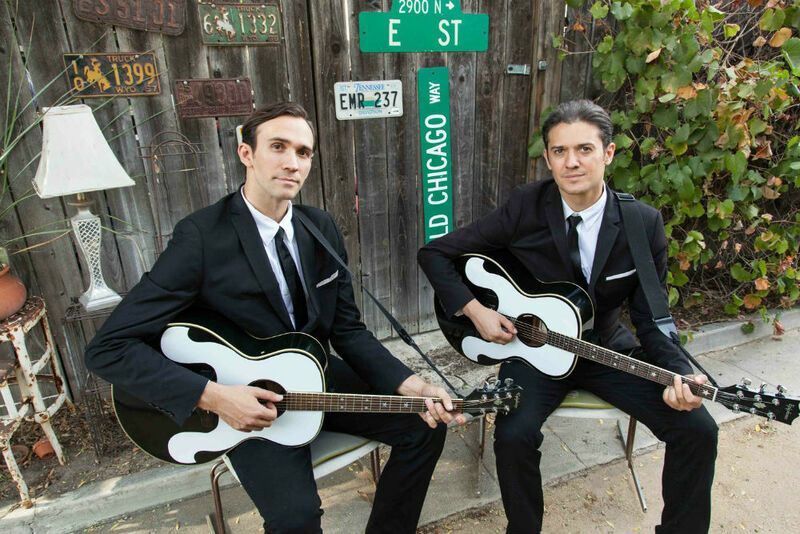 The Everly Brothers Experience has been presented to enthusiastic crowds all over the world in clubs, theaters, performing arts centers, casinos, ballrooms, and coliseums. Slovenian Savings & Loan is delighted to help support its presentation at the historic Arcadia Theater. Visit the Arcadia’s website for more information and tickets! Proudly serving Conemaugh since 1915! more and more of your neighbors are banking with Slovenian Savings & Loan. Rates effective as of 04/02/2019.